How do you bring your new idea to life, turn it into the next big thing and deliver it to market faster and more effectively than your competitors? You deploy a highly creative, highly motivated B2B marketing agency, focused on delivering results. We are beach and we’re ready to help. B2B marketing has been our home for a decade and we continue to connect manufacturers, resellers & distributors in ways few people could have imagined 10 years ago. It comes from our passion for delivering inspirational ideas, eye-catching design and innovative execution across all marketing collateral. Sales Growth, Channel Management, Competitor Advantage & Customer Retention... these aren’t just buzz words around the beach hut, they’re Key Performance Indicators. Send me your latest news and offers! 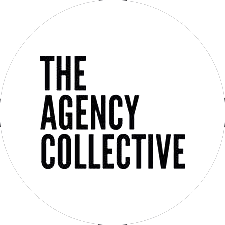 We are a highly creative, specialist b2b marketing, design and digital agency working with ambitious businesses based in Northampton, Milton Keynes, London with a global footprint. Find out more. Got a file you want to send us? © 2019 b2b marketing agency | Northampton Milton Keynes London.